I love sweet treats, but I also love salty ones. I’ve been tempted to try making Muddy Buddies for awhile now but fearful I would eat the whole bowl. I was right! They are truly fabulously delicious. I modified the traditional recipe to incorporate the salty flavour I love. A delicious treat that is the perfect amount of salt to offset the sweetness. Watch out once you stop eating this, you can't stop! Place cereal and pretzels in a large bowl and set aside. In a microwaveable dish combine chocolate chips, peanut butter, butter and vanilla. Microwave mixture on high for 30 seconds. Stir. Repeat until mixture is fully combined and smooth. Sprinkle course salt over the top of cereal mixture. 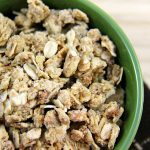 Pour mixture over cereal and pretzels and combine. 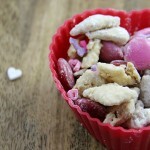 Pour 1/2 cup of icing sugar into a large ziploc bag, fill bag 3/4 full with cereal mixture, shake until coated. 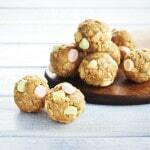 Place coated cereal mixture on parchment lined cookie sheets, spread out and allow to cool. Repeat sugar coating until all cereal is coated and cooling. 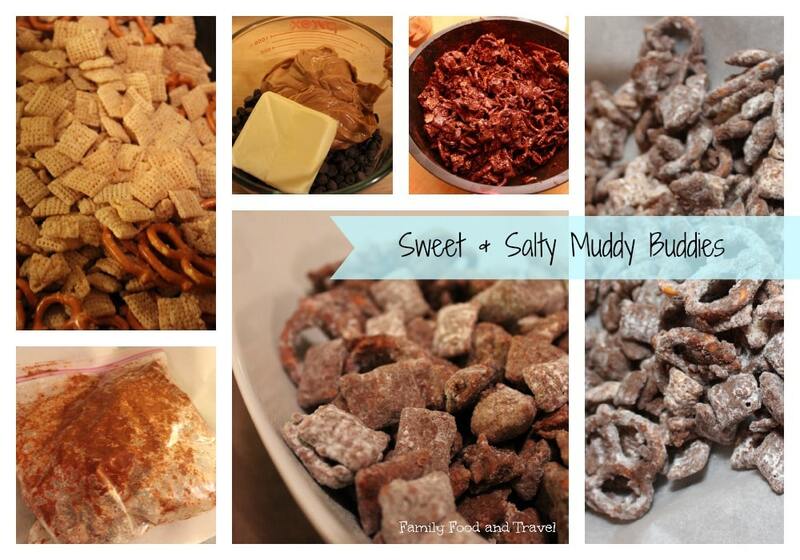 If you’d prefer traditional Muddy Buddies, here is the recipe. With so many muddy buddy varieties, which one is your favourite? Great idea to throw pretzels in! 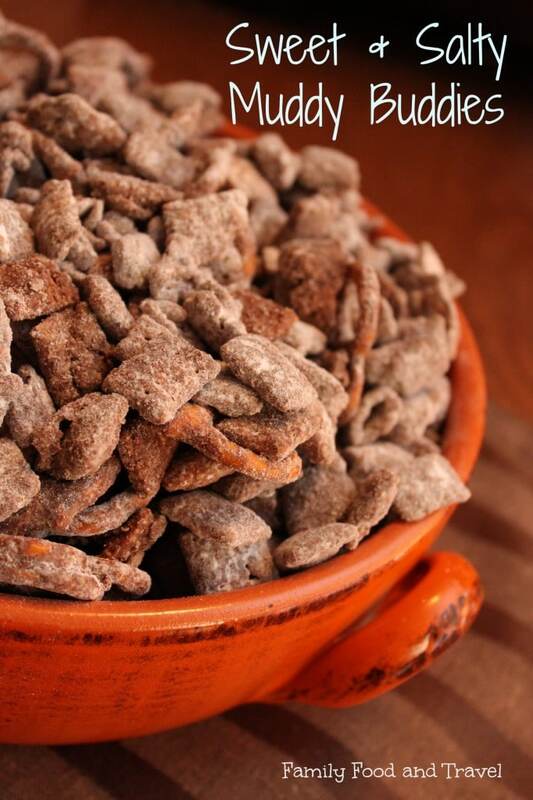 This is similar to the puppy chow I make. It’s looks delicious! Sounds great! Love the sweet and salty combo. 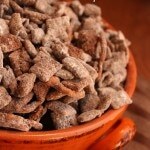 I often find puppy chow way too sweet, so I will definitely try this mix!!! These look absolutely scrumptious! I’ve never thought about putting pretzels in my muddy buddies before! Thanks for the great idea. Wow this brings me back to when i was a kid and my mom made them for me down south. 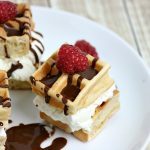 I love this recipe – the perfect combo of sweet and salty! What a yummy little snack! I want some! Delicious! I always wanted to learn how to make these. Thanks for sharing this recipe. Yum, that sounds absolutely amazing! I’ll definitely have to try this recipe. I love sweet and salty deserts! I need to make these!